We are currently seeking a highly motivated Personal Trainer to join our team. This sub-contractor position is required to train at our Ascot Vale Studio and also Mobile In-Home and Corporate Fitness Training. As a personal trainer, you are required to be flexible and adapt to clients that have a wide range of health & fitness goals and personalities. You must have the confidence to deliver high quality sessions and work as a team. 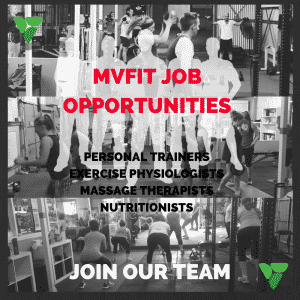 If you want the freedom to run your own sessions and have the support of a great team, please read our requirements below and send through a cover letter and resume to info@mvfit.com.au or APPLY below. Degree in Sports Science – Desired but not essential. Professional conduct, good personal presentation and attention to detail. Be able to work proficiently on your own and contribute as a valuable team member. Experience in client growth and retention. Strong history of success in achieving goals and outcomes with clients. Desire and motivation for continued learning and professional development. Are you looking for a job where you can make a real difference in the community with health and fitness? A workplace that provides opportunity, challenge and balance? A workplace that values your skills and professionalism? Moonee Valley Health and Fitness is a great place to work and play. We are committed to continuously pushing the boundaries in the most effective weight loss and fitness programs available. We welcome diversity and creativity, and we are after personal trainers, exercise physiologists and boot camp instructors who embrace our values and are ready to make a positive contribution to the health and fitness industry. If you’re ready to earn great money, have fun, and do what you love – Training Clients then we have the perfect positions for you! 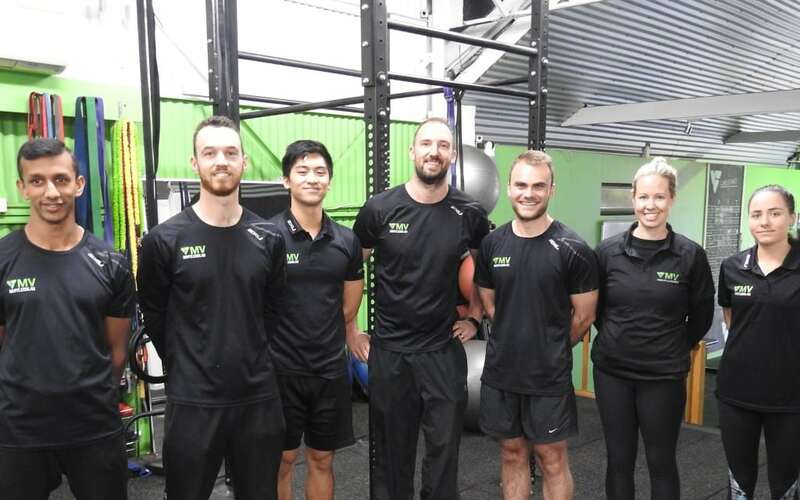 If you’re ready to be part of a great team and learn the fitness industry from one of Melbourne’s top group fitness and personal training companies and become the best at what you do. We aim to support all our personal trainers in developing and learning to be the best trainer and group fitness instructors to perform at their best. As a Registered Exercise Professional with Fitness Australia Courses or Physical Activity Australia Courses, our trainers are committed to industry standards and ongoing professional development. Our commitment to trainer development extends to assistance with in-house training in our personal training studio, as well as allowing time-off when needed to attend formal education courses and professional development courses. Continuing education gives you the resources to improve your existing skills, develop new ones and advance your career in the health and fitness industry. For more information about working at Moonee Valley Health and Fitness, call (03)9996-0790 or fill out our online personal training job form. We are constantly looking for a range of health and fitness professionals in Melbourne.